The British Pakistan Foundation (BPF) hosted a Spoken Word Poetry and Open Mic event exploring Identity on Thursday 3rd August 2017 at SOAS in London. Among the British Asian & Pakistani spoken word artists and creatives exploring the concept of “identity” were Mizanur Rahman, Subika Anwar Khan and ZainHaider Awan who were joined by Shahid Khalid, Haseeb Shah and Jenny Naqvi in the open mic session. Mizanur Rahman (Mizan the Poet): Mizan is an activist, community worker and a spoken word poet. His poetry reflects his experiences as well as his views ranging from politics to religion. In his poems, he speaks from the victim’s or perpetrator’s point of view or about his own inspirational experiences. His inspirations also include the 13th-century Persian poet, Jalal al-Din Rumi. He has performed in events with Lyrically Challenged, Dark Sea Scrolls, and Lost 4 Words. He was featured on London Hott Radio Café. His poems are also featured on YouTube. He has even worked with Director Troy Kamal (Ego Free Music) for the Street hands organisation, a charity for children. He regularly performs at “Hope ‘n’ Mic” nights in London. Subika Anwar Khan (Playwright and Actress): Subika has recently written and performed Divided at Camden People’s Theatre in association with Warts and All Theatre where a short tour will be performed in her hometown, Northampton. Her play Princess Suffragette was produced for The Vault Festival 2017 and Kali theatre commissioned her play Stateless which received 4 stars in the Independent. Subika has attended writing programmes with various theatre companies for the past 8 years including The Royal Court, Tamasha theatre and The Roundhouse and is represented by Kitson Press Agency. Her work tends to explore the socio-political aspects of cultural landscapes, which tend to be set in local communities covering themes of migration, war and conflict. 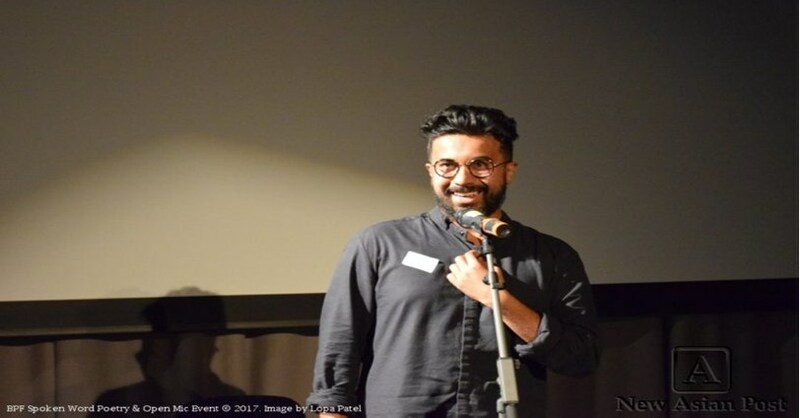 Zain Haider Awan (Artist & Poet): Zain is working on creating a documentation and exhibition of the memories, thoughts and lives of the first wave of Muslim migrants to his home city of Peterborough. These being Pakistani men predominantly from the Azad Kashmir region of Pakistan. Having worked on a variety of projects concerned with Diaspora youth and British Muslim Identity, Zain is fascinated at how spaces, places and people interact in formulating and creating sophisticated and complex identities. How these identities then become part of cultures, subcultures and where appropriate these cultures clash and collide, or indeed mix and create. 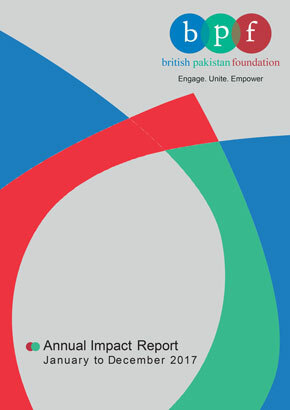 The BPF is a non-profit platform founded in 2010 working towards engaging, uniting and empowering the over 1 million British Pakistani community in the UK, in particular the youth. Its aim is to support the British Pakistani community professionally, socially, culturally and intellectually with a particular focus on professional development. It delivers this by providing professional development workshops, seminars, speaker series, mentorships, internships, work opportunities, professional networking, cultural events and thought-leadership via our monthly newsletter for all its members under its 3 main programmes: Business and Professionals Programme, Women’s Programme and Young Professionals Programme. BPF currently operates in London and aims to extend its programmes to the regions incl. Birmingham, Manchester, Bradford, Leeds and Glasgow. It also plans to launch an “Angel Investor Fund” supporting small start-ups by connecting them to potential investors similar to the “Dragon’s Den” concept under a Roadshow Programme.